Hinges are items in Raft, that are used to craft a variety of objects. However, their most common uses would have to be Chests, Large Crop Plots, Receivers and the Stationary Anchor. For the early game, you are likely going to struggle to find any Hinges, as they are quite rare to find naturally. Anyhow, with this guide, we have you completely covered. If you’re interested, we have more Raft guides available here. There are two methods for getting Hinges, you can either find them, or craft them. Let’s start with finding them. 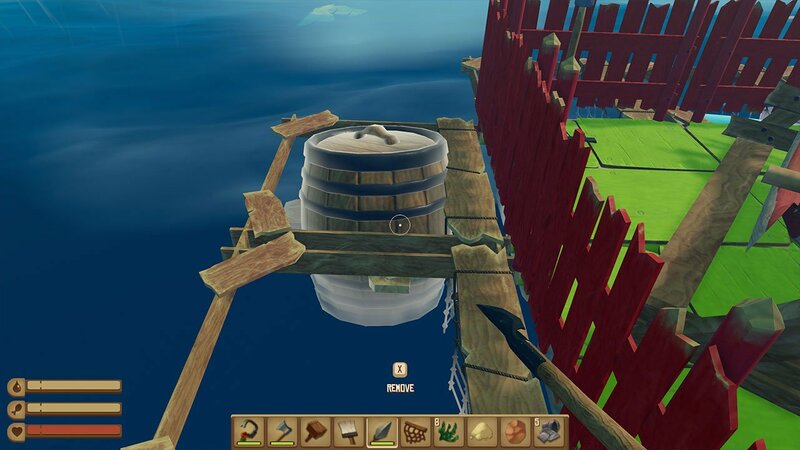 There is a chance that you can find Hinges when searching Barrels, other Rafts or Loot Boxes found on islands. The chances are definitely slim, but I’ve received a few this way. Otherwise, you can craft them yourself. If you’re still an an early point of the game, this might be difficult. You will need to smelt metal ore to create ingots, which can then be turned into 1 hinge per 1 ingot. Smelting metal will require a smelter, which costs dry bricks. Dry bricks are created by making 6 wet bricks with sand and clay, and leaving them to dry. Whilst metal ore can be found underwater on the side of islands. Above, you can see the crafting recipe and location for Hinges. If it’s not there, you may need to unlock it in the Research Table. 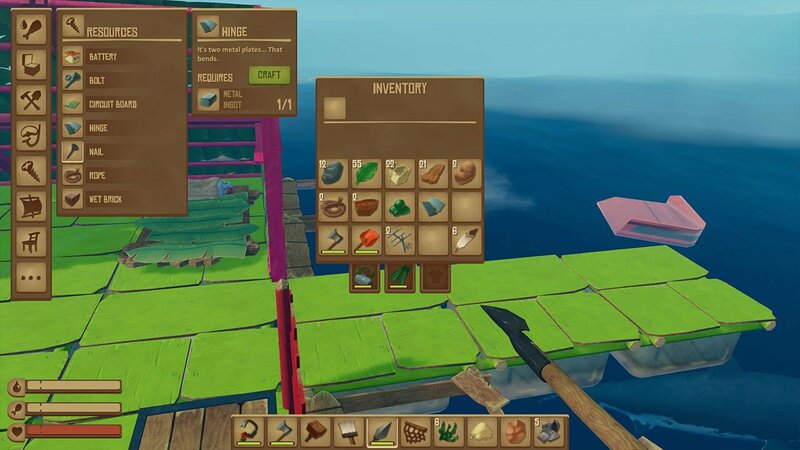 Metal is probably the rarest material currently available in Raft, as it’s hard to obtain. There is a high chance of drowning and taking damage from sharks when looking for it.